My favorite is the Atlantic Fog dress! looks super comfortable! I LOVE shabby apple! My favorite is actually the Light as a Feather necklace - I've had my eye on it!! I love the new dress collection--all of them actually. :) Favorite is With Honors though! I love the Gondola dress...so presh! I am a Shabby Follower on FB! I love shabby apples aprons and the little girls stuff is so cute!! I have several Shabby Apple dresses, but the one I really want is the Che Bella Dress in their Roamin Holiday Collection. I hope I win!! Awesome giveway! I love happy talk dress! They have some really cute accessories! Hi. Thanks for visiting my blog. I'm now a follower of your blog too! I've been going through your archived post, and you have such great tips and yummy recipes! I'm a follower of Delighted Momma! I'm not on FB, so I am not able to "like" them...can I still enter? Also, I'm a huge fan of the Forbidden City dress. SO cute. i love shabby! such a pretty necklace!! feathers are just so beautiful, aren't they? This necklace is gorgeous! I'm a follower of DM. I already "like" shabby apple on FB! Trying to post from my phone is challenging! I love that necklace!! I follow! Oh my word, how did I not know they had kid dresses? SO ADORABLE! I love the necklace! I love the Sterling Silver Eiffel Tower Necklace, it's amazing! already a follower and I love the feather necklace.. the heart strings is also gorgeous! annnnnnd I just tweeted about it!! I love the Shabby Apple dresses...in fact I just ordered Gondola and North Shore and I love them both! I am a follower of DM! I am digging the Mirage bracelet, too! I'm a follower:) and I love this necklace! I visited their site and I love the silver sand dollar necklace! I mentioned you on Twitter! Love the "Poker Face Alice" bracelet. What a cute name for it too! Mentioned this giveaway on Facebook! I really like all of the Maternity Dresses. Will definitely head back when I have a dress up occasion! Hey Lindsay! This is my comment about following the blog. I love the Sterling Silver Eiffel Tower Necklace!!!! Ive always dreamed of going to paris! I follow your blog! I like the Uma Turquoise Ring! I've oggled over their stuff lots of times. The clothes are so dang cute! I follow! Eeek! I have nothing gold in my collection!! i follow! and i love pretty much everything in that shop! of course i follow your pretty blog~ the neckless is gorgeous! And I just LOVE the tuileries dress from Shabby Apple! I LOVE LOVE LOVE LOVE LOVE LOVE this necklace. Please pick me!! I follow your blog! I went to Shabby Apple. My favorite is the Trajan Cuff! I'm a huge fan of leafs! Pick me please! I like Shabby Apple on Facebook! Picke me please! Well as you know I follow your blog! and love it! also, I loved their sterling silver shamrock necklace. Gorgeous! and this very very pretty blue one (that I since forgotten the name of! wow, that's silly!). But shabby apple is so fantastic, I love their stuff! and that's a beautiful necklace you're giving away! I love it! Oh woops I was supposed to leave a separate comment! I love the shamrock necklace! I am now following the lovely Delighted Momma! Just went to Shabby apple--- I am in love with the callow sandles! I liked Shabby apple on facebook under Jazmin Miller! I liked Shabby apple on facebook under The Millers! I mentioned this giveaway on The Millers facebook wall! That IS such a pretty necklace. And I love the photo. Haha, sorry I didn't read the line "leave a separate comment for each"
but I also liked Shabby Apple on FB. As I previous wrote I really like the feather necklace and the San Gabriel Dress. Oh well aren't you a darling for giving something like this away. I NEED THIS necklace - it's so so gorgeous (I have liked them on fb too now so will be buying it I believe if I don't win it haha). BUT. What I have since discovered about Shabby Apple since you have posted is this. I love that the first thing that sprung in to my head when I saw their collections was 'gosh it's very vintage inspired' - and then I saw those actual words for their collections (so they match consumer feelings with their clothes). I love that each of their collections has a gorgeous feminine name (romance, flirty, etc). I love that all their clothes seem to fit a womans' body perfectly and lastly I love that it fits my love when it comes to clothes of transitional pieces from work to evening events! I shall go leave seperate comments now of dresses I love! another beautiful giveaway. I like Shabby apple's pencil skirts especially the Pizarro skirt, the scalloped hemming is so pretty. "Liked" Shabby Apple as Kathryn Delmarcus ages ago! Favorite item is the "Le Soleil" dress! I *love* the Key to Wonderland necklace on the Shabby Apple... so beautiful! love their Madison ave dress! 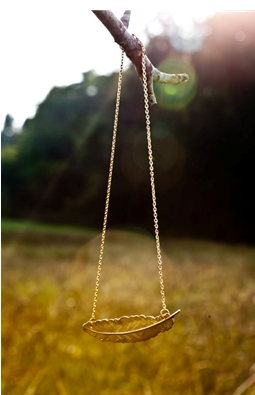 i love feather necklaces, that one for the giveaway is just stunning! I am a follower of course, and i visited the site but i think the feather one is my fav! I LOVE the L'Artiste dress. I like the A+ dress a lot!!! Big fan of shabby apple! Very cute necklace. Already like S.A. on FB. Shabby Apple's lady-like skirts are my fave! I follow and am in need of a new accessory!